Journal of Clinical and Translational Hepatology (JCTH) adopts open access publishing model, and all articles are distributed under the terms of the CC BY-NC 4.0 license (http://creativecommons.org/licenses/by-nc/4.0/). Under this license, anyone may copy, distribute, or reuse these articles for non-commercial purposes, provided the original work is properly cited. Manuscripts submitted for publication in an open access journal are subject to the same rigorous peer-review and quality control as in scholarly subscription journals. All rights are reserved. Starting from 2017, the copyright on all published articles will be retained with the authors unless stated otherwise. Authors grant JCTH the sole, worldwide, and exclusive right to publish (i.e., print, publish, sell, and otherwise commercially exploit), reproduce, display, and store the published articles. Copyright © The author(s) 2013-2019. All rights reserved. Articles published by all JCTH are distributed under the terms of the CC BY-NC 4.0 license (http://creativecommons.org/licenses/by-nc/4.0/), which permits use, distribution, and reproduction in any medium, provided the original work is properly cited and the use is non-commercial and otherwise in compliance with the license. Authors of articles published in JCTH are permitted to self-archive the preprint version of the article at any time, and may self-archive the postprint and published version without embargo. 5. Other suitable non-for-profit sites. A published version is the article in formal format that is published online by the publisher. The version self-archived should include the full citation of the article on the first page. All articles published in JCTH represent the views and opinions of their authors, and not the views, opinions, or policies of the journal or the publisher, except where explicitly indicated. JCTH shall not be held responsible for the use of views and opinions expressed in the articles; use of any information in the articles shall not be considered an endorsement by JCTH of the products advertised. Please ensure that any manuscript you submit to JCTH conforms to the recommendations for ethics of the Committee on Publication Ethics (COPE) and the International Committee of Medical Journal Editors (ICMJE), as well as the general article requirements. All submitted manuscripts will be checked using plagiarism detection software. Below are the article types accepted for publication. JCTH will consider the following article types for publication, with the following formatting restrictions. Table 1 summarizes the general manuscript guidelines for each article type. *Word count includes the main body of the manuscript (Introduction, Method, Results, Discussion), but excludes Abstract, Acknowledgement, Tables, Figure legends, References, etc. Original research manuscripts should describe experimental and/or clinical studies in biomedicine, including exploratory and hypothesis-driven studies of basic or applied research. The data described in the article should have been generated exclusively from an original research study, and the results should be supported by appropriate statistical analyses. The maximum length of the main body of the manuscript is 5000 words, with no more than 8 figures/tables and 50 references. The Abstract must not exceed 250 words. Review manuscripts should describe the most recent advances or challenges in a specific field or specialty of biomedicine. The information should be presented as a logical summary of the current knowledge and should provide novel insights into the topic and reasoned recommendations for future research directions. Illustrations, diagrams, algorithms, tables, and other visual aids are strongly encouraged. The manuscript components include an unstructured Abstract, Introduction, Results, and Conclusions. A Methods section is not necessary, unless the focus of the article is on methodology. Maximum length of the main manuscript is 6000 words, with no more than 4 figures/tables and 120 references. The Abstract must not exceed 250 words. Mini reviews are also accepted. Normally, a mini-review offers a succinct and clear summary of a topic, allowing readers to become up to date on new developments and/or emerging concepts, as well as discuss the following: differing thoughts or controversies; current research gaps; and potential future developments in the field. Mini Reviews must not include unpublished material (unpublished/original data, submitted manuscripts, or personal communications) and may be rejected or reclassified, at a significant delay, if found to include such content. Mini Reviews have a maximum word count of 3000 and may contain no more than 2 figures and tables, combined. 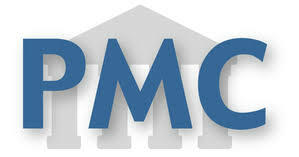 A systematic review paper, as defined by the Cochrane Collaboration, is a review of a clearly formulated question that uses explicit, systematic methods to identify, select, and critically appraise relevant research, and to collect and analyze data from the studies that are included in the review. These reviews differ substantially from narrative-based reviews or synthesis articles, and must be based on the sound empirical basis of studies that were conducted scientifically well. In addition, the research question in terms of population, interventions, comparators, outcomes, and study designs (PICOS) should be clearly defined. Statistical methods (meta-analyses) may or may not be used to analyze and summarize the results of the included studies. Reports of systematic reviews and meta-analyses must include a completed Preferred Reporting Items for Systematic Reviews and Meta-Analyses (PRISMA) checklist and flow diagram to accompany the main text. The templates of checklist (PDF or Word) and flow diagram (PDF or Word) are available here. m Include the PRISMA checklist as supporting information. The maximum length of the main body of the manuscript is 5000 words, with no more than 8 figures and tables combined, and 50 references. The Abstract must not exceed 250 words. Short manuscripts documenting experimental results of high interest will be considered for publication in this category. Short manuscripts submitted for consideration are subject to the same rigorous peer review as other articles. The format of a Short Communication is the same as that of an Original Article, but the Results and Discussion are included in a single section. The maximum length of the main body of the manuscript is 2500 words, with no more than 4 figures and tables, combined, and 30 references. The Abstract is presented as a single paragraph with no subheadings and must not exceed 250 words. Letters to the Editor should describe timely issues related to a previous publication. These letters should use constructive and professional comments to expand upon any issue, providing novel and reasoned insights or updates on the topic under discussion. All opinions stated in the letter should be supported by the most current topically relevant literature. The maximum length of the main body of the manuscript is 800 words and should be addressed to the Editor. No more than 2 figures and tables, combined, and 10 references are allowed. No accompanying abstract is required. Commentary and Editorial articles are normally submitted by invitation only, and should present reasoned opinions on a topically relevant issue that is currently trending in biomedicine. It is intended to motivate readers to consider seriously the topic and its potential for affecting the field or specialty. The maximum length of the main body of these invited manuscripts is 1500 words, with no more than 1 figure or 1 table and 10 references. No accompanying abstract is required. Case Reports should describe an individual patient or series of patients (normally less than three) that presented with an unexpected or rare condition that has a timely and significant influence on the field or in a specialty of biomedicine. These reports should provide novel insights into a pathological or physiological issue related to pharmacology, supported by well-described background information for both the case(s) (from documented medical records) and disease (from the literature). Written patient permission is required for publication. The maximum length of the main body of the manuscript is 2000 words, with no more than 4 figures and tables, combined, and 20 references. The Abstract must not exceed 250 words. Please read carefully our information pages on Ethics in Scientific Process and Ethics in Publication. All authors are required to disclose any potential conflicts of interest (financial, professional, personal, or otherwise) within the past two years that are relevant to the manuscript, including but not limited to consultancies, ownership, equity, patent-licensing agreements, research support, major honoraria, employment or board positions involving a company whose product is mentioned in the manuscript. In the case that there is nothing to disclose, this fact should be clearly stated as: “The author(s) has (ve) no conflict of interest(s) related to this publication”. Accession numbers should be provided for the repository of all sequences, plasmids, expression microarrays, and amino acid sequence data that is presented, regardless of whether it has already been or should be submitted in the future to GenBank or EMBL. In general, the use of non-standard abbreviations is discouraged. Abbreviations must be defined the first time they appear in the Abstract and in the main body of the manuscript. Abbreviations will only be used if the abbreviated term appears 3 or more times in the Abstract and in the main body respectively, or for the acronyms of genes, or for terms that are known better by the abbreviation than the term. Abbreviations in the figures and tables must be defined in the figure legend and table footnotes, regardless of how many times they appear. Standard abbreviations that do not require definition can be found in the AMA Manual of Style or the Index Medicus. Nomenclature and units of measure should be used in accordance with the internationally accepted rules and conventions, including the international system of units (SI). If other quantities are mentioned, the equivalent in is should be given. Authors who wish to present a list of nomenclature should place it on the second page of the manuscript. Submission of an article implies that neither this manuscript nor one with substantially similar content has been published previously by the same author, or is currently under consideration for publication elsewhere, including in languages other than English, and that the manuscript contains no unlawful statements and does not contain any materials that violate any personal or proprietary rights of others. The Publishing Agreement document must accompany all manuscripts submitted to JCTH. This agreement must be read and signed by every author. The Correspondence Author must certify that all listed authors participated significantly in the study, and that they have seen and approved the final manuscript. Submission to JCTH proceeds totally online and you will be guided stepwise through the creation and uploading of your files. The system automatically converts your files to a single PDF file, which is provided for your approval and will be used for the peer-review process. Please visit www.editorialmanager.com/jcth to submit your manuscript. All correspondence, including notification of the Editor's decision and request for revision, is by e-mail only. Submissions from editors, members of the editorial board or employees will go through the same rigorous peer-review process as other submissions, and will be treated no differently to any other manuscripts submitted to the JCTH. To ensure unbiased review, the Editor-in-Chef, Associate Editor, Editorial Board Member, and the Editorial Staff will not make decision for, handle, or review his/her own manuscript. And all possible measures are undertaken to avoid any potential conflict of interest in handling of such manuscripts at all the stages including allocation of handling editor, selection of reviewers, decision making and, if required, processing for publication. 1) This manuscript has been properly formatted according to the journal’s requirements. 2) For manuscripts reporting studies involving animal subjects: The Methods section should contain statements that identify the committee that approved the study. 3) For manuscripts reporting studies involving human subjects: Statements in the Methods section must identify the committee that approved the study, confirm that informed consent was obtained from all subjects, and that the protocols conformed to the ethical guidelines of the latest version of the Declaration of Helsinki. 4) Clinical trials must include the Clinical Trials Registry identifier number and platform. 5) The authors confirm that this manuscript does not violate any copyright agreement, nor is under consideration by any other journal. 6) The authors confirm that there is no ethical or legal conflict involved in the manuscript. 7) The authors confirm that there is no form of academic misconduct involved in the manuscript, including but not limited to plagiarism, fabrication, falsification, or inappropriate authorship. 8) All authors confirm that they have read and understood the Instructions for Authors. 9) All authors approved the contents of the manuscript and this submission. 11) The Highlights document has been uploaded. 12) Permission has been obtained for use of copyrighted material from other sources. The cover letter should provide the title of the manuscript, the article type (Original Article, Review, Case Report, Editorial, Commentary, or Letter to the Editor, etc. ), a recommendation for the preferred Associate Editor, and recommendations for three potential referees (including contact information: email address and phone numbers) who are not members of the authors’ institution or have conflicts of interest with any of the authors, as well as the correspondence author’s name, institution, email address, and telephone number. Authors may also list referees whom they would prefer to be excluded from the review. The final selection of an Associate Editor and referees is at the discretion of the editorial office. Beginning 1 January 2019, the inclusion of highlights of the study is mandatory for JCTH. The highlights consist of 3 to 5 bullet points (maximum 85 characters for each, including spaces) that show the core findings or importance of the article. The bulleted highlights should be submitted in a separate editable file in the online submission system. Please use 'Highlights' as the file name, then choose “supplemental documents” in the “document uploading” step. All manuscripts should be submitted as a single Microsoft Word document that is typed in Times New Roman, font size 11, and double-spaced. Tables are also submitted as double-spaced. The title should be written as a brief but complete statement that accurately describes the content of the article. The title must not exceed 120 characters (including spaces). There should be no non-standard abbreviations. Short Title: The running title should not exceed 45 characters (including spaces). The individual’s degree designation (i.e., PhD, MD, BS, etc.) should not be listed. Each author should list an associated department, university, or organizational affiliation and its location, including city, state/province (if applicable), and country. The affiliation should be denoted for each author using a numbering system that corresponds to that author’s position in the author list. Current addresses should be indicated separately and denoted by a symbol (but not an asterisk). The contact information for the corresponding author should include the individual’s name, complete mailing address (department, institute, street and number, city, state/province, zip code, and country), e-mail address, telephone number, and fax number. The name of the Corresponding Author in the authors’ list should be denoted by an asterisk (*). In the case of co-corresponding authors (no more than 2 are allowed), the person responsible for addressing reviewers’ comments should be listed first. Superscript Arabic numerals are used for authors’ footnotes. The address at which the author did the work should be retained as the main affiliation address. The author’s present address (or permanent address) may be displayed as a footnote to the author’s name, if the author was visiting during the work described in the article, or has changed address since then. The Authors’ Contributions should be provided in paragraph form following the authors’ names and affiliations and corresponding author(s)’ information. The manner in which each author was involved with the study or preparation of the manuscript is listed with the author’s name (shown as initials, within parentheses). Contributions that are acceptable for inclusion as an author are: study design, performance of experiments, analysis and interpretation of data, manuscript writing, critical revision, statistical analysis, critical funding, administration, and technical or material support. For details regarding authorship requirements, please refer to Authorship Criteria. Study concept and design (MJ, SS), acquisition of data (DS, CF), analysis and interpretation of data (DS, CF, MJ, SS), drafting of the manuscript (DS, CF), critical revision of the manuscript for important intellectual content (MJ, MJT, SS), administrative, technical, or material support, study supervision (SS). The sections of the manuscript text after the title page are as follows: Abstract, Keywords, Introduction, Materials and Methods, Results, Discussion, Acknowledgements, References, Tables, Figures Legends/Figures, Supplemental Documents. The Abstract will be written as a complete but succinct summary of the study, its main objectives, results, key findings, and implications for the field or specialty. The Abstractwill be structured (Original Article) with the following section headings: Background and Objective(s), Methods, Results, and Conclusions. Acronyms and abbreviations must be defined the first time they appear. Abbreviations will only be used if the abbreviated term appears 3 or more times in the Abstract. Footnotes and references are not permitted. Background and objective(s): The Background statement supports the importance of the study’s objective(s). The Objective states the question(s) addressed by the study, from which the study design was determined. Methods: This section briefly describes the basic study design and techniques used to fulfill the objective(s) of the study. Results: The Results section reports the main data obtained by the study, including statistical values (e.g., confidence intervals or P-values). The results of each experiment described in the Methods should be stated. The appropriate values and statistical differences will be reported so that readers can determine the absolute as well as the relative impact of the results. Conclusions: The Conclusions section should state only the logical interpretations that can be drawn from the data that was reported in the Results, and how the study contributes to the knowledge of the research or medical community. Although a graphical abstract is optional, its use is encouraged as it draws more attention to the online article. The graphical abstract should summarize the contents of the article in a concise and pictorial form. The graphical abstract should be submitted as a separate file in the online submission system. Image size: Please provide an image with a minimum of 531 × 1328 pixels (h × w), or more in the same proportion. The image should be readable at a size of 5 × 13 cm using a regular screen resolution of 96 dpi. Preferred file types: JPG, TIFF, or PDF for submission; an editable version, such as PSD, EPS, AI, Visio, WMF, EMF, Word, Excel, PowerPoint, OPJ, CDR, or PDF is preferred for the production process. No additional text, outline, or synopsis should be included. Any text or label must be part of the image file. Unnecessary white space or a heading “Graphical Abstract” should not be within the image file. Immediately after the abstract, four-to-six keywords should be selected from the Medical Subject Headings (MeSH) descriptor terms listed in the National Library of Medicine’s controlled vocabulary database. These terms can be searched using the MeSH browser at: http://www.nlm.nih.gov/mesh/MBrowser.html. The keywords will be presented in the row-list style and written in lowercase, separated by semicolons, with no period at the end of the list. These keywords will be used for indexing purposes. The main body of a manuscript should be organized as follows: Introduction, Methods, Results, Discussion (including Conclusions), followed by the sections of Acknowledgments, References, Figure legends, Tables, Figures, Supplemental information (if necessary). The Introduction should focus on the rationale for conducting the study--why it was performed, and why the objectives were formulated as they were. The Introduction should succinctly convey the authors’ depth of understanding of the problem(s) addressed by the study, and the work of other investigators in this area. The objective(s) is then succinctly stated in the final paragraph. The statement of the objective is the most important sentence of the paper, since it determines all that follows it. A brief outline of the study design is optional, but sometimes highly recommended if the design is not immediately clear from the objective or to entice the reader to read further. The Introduction is not divided into subsections. The Methods section should provide all the details that would be required for another investigator to repeat the work as it was performed by the authors. A beginning subsection “Study design” is highly recommended, that gives an overview of how the study satisfied the objectives of the study (as stated in the last paragraph of the Introduction). Subsequent subsections should be presented in the order in which the protocols were performed. It is highly recommended that each subsection begins with a sentence explaining the reason for the protocol, that is, how the protocol contributed to satisfying the objectives of the study. The steps taken for each protocol discussed in each subsection should be presented in the order in which they were performed. The results of an experiment should not be included in the Methods section, unless the results determined the direction of further experiments. All experimental methods described in the Methods section must have accompanying data presented in the Results section or additional materials, and vice versa. Do not have a separate subsection for listing materials or equipment; but do list the materials and equipment within the protocols if they influenced the data. The complete names and locations (city, state/province and country) must be provided for the manufacturers of drugs, tools, instruments, software, reagents and equipment. Methods that have been published previously and used without significant alteration may be described briefly, with the appropriate reference. When significant changes have been made to a method, however, those changes should be described in detail, with citations as appropriate. By convention, the last subsection should discuss the methods used to perform statistical analyses. No materials or methods should be presented outside of the Methods section. Ethics approval: All studies involving human subjects or animals should include a clear statement concerning ethics in the Methods. For more details about bioethics, please refer to Ethics in Scientific Process. The subsections of the Results should correspond to the subsections of the Methods, as much as practical. Reasons for performing an experiment or protocol may be summarized, but do not state or repeat the steps of an experimental procedure. There should be data reported for each experiment described in the Methods section. The Results section should objectively present the data in a straightforward manner, noting the degree of significance in differences when appropriate. The Results section should not include interpretations of the data or conclusions, unless they redirected the investigation. Where data is presented in a table or figure, the data should be summarized in the text and the reader referred to the table or figure. Each table or figure should be referred to, and in numerical order. The Results section usually does not include any background information or discussion of results from previously published studies. Therefore, in general, no references are present in the Results. The data presented in the Results section, including figures, tables and supplemental materials, should not be repeated in the Discussion section. It is highly recommended that the Discussion section begin with a very brief summary (1-3 sentences) of the study’s objectives, the methods used to achieve the objectives, and the results. Repetitions of information that was already provided in the Introduction, or information in support of the study’s importance or objectives, is misplaced and discouraged. Remaining paragraphs of the Discussion should focus on interpretations of the data of the study, with thoughtful comments on the novelty or unexpected features of the results, and references to relevant past studies. The paragraph before the final summary and conclusions should discuss the limitations of the study. Limitations of the study are only those features that weakened the statistical power of the data, or prevented the full realization of the study’s objectives (as stated in the Introduction). The conclusions section should briefly summarize conclusions that are directly supported by the evidence, and comment on the implications of the findings. This section should acknowledge any and all personal assistance and providers of special reagents from sources that do not fulfill the requirements of authorship; individuals’ names and affiliations should be provided in full. Grant support and other financial assistance should be specified, with grant numbers (if available; written as “No. ###”) and the author to whom the grant was awarded (written as abbreviated given name(s) and full last name “to AZ Wang”). The names of (in full and with affiliations, if applicable) and funding sources for individuals who provided writing assistance should be given in this section. References will be cited according to the rules recommended by the International Committee of Medical Journal Editors and NLM. References are numbered consecutively in the order in which they first appear in the manuscript, by using superscripted Arabic numerals, for example, "Tam et al.3 reported that…". Citations with multiple references (e.g., 2,3,4,7,9) can be abbreviated as: 2-4,7,9. The citation numbers should be placed after a comma and a period [e.g., ",7-10"; ".2"], and before a colon and a semi-colon [e.g., "7-10;"]. Commonly used reference styles are listed as below, or can be found here. Yi SG, Sadhu AR, Jones SL, Turner Krista, Monsour H, Donahue K, et al. The effect of adrenal replacement therapy on rates of fungal colonization and mortality in critically Ill patients awaiting liver transplantation. J Clin Transl Hepatol 2015;1(1):2-8. doi: 10.14218/JCTH.2013.00007, PMID: 26355432. Kim WR. The burden of hepatitis C in the United States. Hepatology 2002;36(Suppl 1):S30–S34. doi: 10.1053/jhep.2002.36791, PMID: 12407574. Ahrengart L, Törnkvist H, Fornander P, Thorngren KG, Pasanen L, Wahlström P, et al. A randomized study of the compression hip screw and Gamma nail in 426 fractures. Clin Orthop Relat Res 2002;(401):209-222. PMID: 12151898. Yang WJ, Wu YB, Chen L, Xu KK, Xie YF, Wang JJ. Two Chitin Biosynthesis Pathway Genes in Bactrocera dorsalis (Diptera: Tephritidae): Molecular Characteristics, Expression Patterns, and Roles in Larval-Pupal Transition. J Econ Entomol 2015;108(5):2433-2442. Epub 2015 Jul 1. doi: 10.1093/jee/tov186, PMID: 26453732. Smith BM. Basics of analytical chemistry and chemical equilibria. Hoboken: John Wiley & Sons, Inc., 2013. American Psychiatric Association. Practice guideline for the treatment of patients with eating disorders. 3rd edition. Washington, DC: American Psychiatric Association; 2006. Dawson C, Whitfield HN, editors. ABC of urology. 2nd ed. Oxford: Blackwell Publishing Ltd.; 2006. Shah J. Bladder outflow obstruction. In: Dawson C, Whitfield HN, editors. ABC of Urology. 2nd ed. Oxford: Blackwell Publishing Ltd.; 2006. p. 6-9. Marle F, Jankovic M, Maurer M, Schmidt MD, Lindemann U, editors. Risk and change management in complex systems. Proceedings of the 16th International DSM Conference; 2014 Jul 2-4; Paris, France. Dutch: Elsevier; 2014. Ollmar S, Nicander I, Åberg I, Birgersson U. Evolution of a diagnostic decision support tool based on electrical impedance. In: Hermann Scharfetter, Robert Merwa, editors. 13th International Conference on Electrical Bioimpedance and the 8th Conference on Electrical Impedance Tomography; 2007 Aug 29-Sep 2; Graz, Austria. Berlin: Springer; 2007. p. 4-7. Grant, C. Grounded in your culture: the hidden key to promoting academic achievement among African American adolescent males [Dissertation]. Minneapolis: Capella University; 2010. Cheng, DY, Wiersma SJ, inventor; International Power Technology, Inc., assignee. Composite membrane for a membrane distillation system, United States Patent US 4419242. 1983 December 6. Lan T, Chang L, Wu L, Yuan YF. IL-6 plays a crucial role in HBV infection. J Clin Transl Hepatol Forthcoming 2015.
rsc.org [Internet]. London: Royal Society of Chemistry; c2015 [updated 2002 May 16; cited 2015Oct 26]. Available from: http://www.rsc.org/. All tables should provide concise but detailed information without the need to reference any portion of the text in the main body of the manuscript (or elsewhere). The information provided in the table should provide additional information that is not present in the text, to avoid redundancy. The tables should be numbered according to their sequential presentation in the manuscript. Each of the tables should be on a separate page, starting immediately after the figure legends, or immediately after the Reference list if there are no figure legends. The tables should not be submitted as a separate file. Tables require a label (e.g., “Table 2”) and a brief descriptive title above the table. Place legends, footnotes, and other text below the table. Indicate each footnote in the table with a superscript lowercase letter. The table should be written using the Table function in Microsoft Word (not embedded Excel/.xls or image files). Tables should read vertically, if space allows, and have headings for each column prepared without the use of tabs. Abbreviations used in the table should be defined below the table in alphabetical order. All figures must be referred to in the main body of the paper, most often in the Results section, and numbered in the order in which they are referred to in the text. Figure legends should be listed together on a separate page and located immediately after the Reference list. The figure legends should correspond to the figures. The figure legend should begin with a single unifying title that generally describes all the panels of the figure and data presented in the figure. The title should not appear in the figure itself. Figure legends should interpret the figure for the readers, ensuring that readers understand what the authors need them to understand about the results. The figure legends should not repeat details given in the Methods, or details that should be stated in the Methods. The figure legend should not repeat the data values presented in the figure (including statistical values). The Figure Legend should not include any results or conclusions. For inclusion of any copyrighted material, documentation that permission has been obtained for reproduction must be provided, and the source acknowledged in the legend. All symbols appearing in the Figure should be defined in the legend (such as asterisks and arrows). In addition, any color distinctions should be defined in the Figure Legend, unless a key has been added as an inset to the figure itself and provides the definitions. For micrographs, a scale bar within the figure is preferable to inclusion of the magnification in the legend. Abbreviations used in the figure should be defined in the legend. Publishing color figures in JCTH is free of charge. Images may be clinical, pathologic (gross or microscopic), endoscopic, or radiographic. Only images that are essential to justify the conclusions stated in the manuscript should be included. Each figure should be submitted as a separate JPG, TIFF, or PDF file. While in the publication process, an editable version, such as PSD, EPS, AI, Visio, WMF, EMF, Word, Excel, PowerPoint, OPJ, CDR, or PDF, would be preferred. Composite figures may be submitted either as a single print-quality image, neatly labeled with uppercase letters (A, B, C…) in bold font in the upper left corner of the image; or as separate panels (without labels, e.g., Figure 1A.tif, Figure 1B.tif) corresponding to the description in the figure legend, which are combined during production if accepted for publication. All patient identifiers must be removed from photos and radiographic studies, unless specific written permission has been obtained from the patient. Use scale markers in the image for electron micrographs, and indicate the type of stain used. Lines or lettering should not be faint. Check that all lines and lettering within the figures are legible at final size. All lines should be at least 0.1 mm (0.3 pt) wide. The protein molecular weight or DNA marker sizes must be indicated on all appropriate figure panels. It is the responsibility of the authors to submit publication-quality, high-resolution images. Do not include figure titles or captions within your figures. Please be aware of that artificially enhancing the resolution of the image will result in a blurred image. The list below is an abbreviated summary of the figure specifications. Electronic photographs, radiographs, CT scans, and scanned images must have a resolution of at least 300 dpi (dots per inch). Line art (purely black and white figures with no shades of gray) must have a resolution of at least 1200 dpi. Figures combined with graphs and line art must have a resolution of at least 500 dpi. m Digital art files should be cropped to remove non-printing borders (such as unnecessary white or black space around an image, no more than 10% of total area) and should not include embedded “legend” text, figure titles, or figure numbers. m Figures that do not meet the above requirements may be returned when necessary. m Note that source files of figures (such as PDF/AI/PS/EPS/PPT) may be required whether you embed your figures in the text or not, upon acceptance for publication. Supplemental documents, including but not limited to tables, figures and data, should be submitted together with the manuscript. Please choose “supplemental documents” in the “document uploading” step. All documents submitted as supplemental documents will be published online only. The manuscript, excluding the Abstract but including the References, must not exceed 4000 words and have no more than 40 references. Cover letter: State in a cover letter that the manuscript is being submitted for inclusion in the “Tricks of the Trade” section, and briefly describe the novelty and/or improvement in technique. Follow the usual JCTH instructions for the rest of the title page. Title page: On the title page, in the upper left hand corner type: “Methodology”. Follow the usual JCTH instructions for the rest of the title page. Short Title, Authors, Corresponding Author, Author Contributions, Authorship Criteria,Abstract: Follow the usual JCTH instructions. Introduction of background and aims: This section will describe the current state of the methodology, difficulties, and deficiencies. The aim of the study states how the research was designed to address the deficiencies. Materials and Methods: This section will describe in detail well controlled studies demonstrating optimization, reproducibility including step-by-step instructions for experiments that demonstrate optimization, reproducibility including step-by-step instructions including detailed technical advice, and pitfalls. Vendors, locations, instrument model numbers, and every detail required to reproduce the results must be included. Links arranged by the Journal to audio-visual demonstrations are encouraged. Results: This section must provide detailed data supporting the issues of optimization, and reproducibility including statistical analysis. Conclusions: This section will state only conclusions that are directly supported by the data presented in the preceding Results section, and may speculate on the reasoned implications of the findings. Discussion: This section should refer to previous methods and describe the novelty, importance, and significance of the developments in the current research relative to past methodology. Acknowledgments and references: Follow the usual JCTH instructions. Tales and figures: Follow the usual JCTH instructions. The objective of the peer review process is to ensure the integrity and transparency of the research objectives, data, and conclusions. All articles, solicited and unsolicited, that are submitted to JCTH will be subject to the following single blind peer review process, meaning that the author does not know the identity of the reviewer, but the reviewer knows the identity of the author (Fig. 1). Fig. 1. The flow chart of journal editorial process. Step 1: Upon submission, the editorial staff will perform an initial assessment of the manuscript to determine its topical relevance, adherence to the formatting guidelines, and absence of plagiarism related to both textual and scientific content. Step 2: If the manuscript passes the initial assessment, it is forwarded to an academic editor with appropriate expertise in the subject area and/or study design, who is responsible for identifying at least 2 external peer reviewers with expertise in the topic/specialty. Step 3: After a peer reviewer has accepted the manuscript, 15 days (with a short grace period allowed for extenuating circumstances) is allotted for completion of the peer review evaluation. Step 4: Upon return of the two peer reviews, the academic editor will make a reasoned recommendation for acceptance (full, with minor revisions, or with major revisions) or rejection and provide it to the Editor-in-Chief who makes the final decision. Step 5: Manuscripts that are accepted with revision are allotted a 2-month period in which to return the revised version, which is to be accompanied by a Response Letter that clearly outlines the specific issues addressed in the manuscript. Papers that are returned without addressing every comment made by the reviewers and/or the editor will be rejected. Step 6: Papers that required minor revisions will be re-assessed by the Editor-in-Chief, who will make the final decision for acceptance or rejection. Papers that required major revisions will be sent back to the original peer reviewers for further assessment and recommendation to the Editor-in-Chief who will make the final decision. Step 7: If a paper is accepted, it will progress into the preparation stage for publication, the first step of which is copy editing and figure editing (if necessary) followed by typesetting. Step 8: Proofs will be delivered to authors for confirmation. Step 9: The articles will be published in PDF and HTML formats online in the next issue of the journal. JCTH comply fully with the International Committee of Medical Journal Editor 's uniform requirements for manuscripts. Author may appeal an editorial decision by sending an email to the editorial office. The appeal must contain detailed reasons/responses or rebuttals to the review comments and the editorial comments. The appeal and related material and/or information will be forwarded to the Editor-in-Chief for judgement and for decision on the manuscript. The Editor-in-Chief may recommend acceptance, revision, rejection, or referring to additional peer reviewers. The editorial decision at this stage will be final and cannot be reversed. JCTH demands that all research described in its publications be conducted and reported in accordance with the guidance from the Committee on Publication Ethics (COPE) and practices according to the “Recommendations for the Conduct, Reporting, Editing, and Publication of Scholarly work in Medical Journals” from the International Committee of Medical Journal Editors (ICMJE). Authors are expected to carry out their research-related activities in accordance with the tenets of honesty, transparency, objectivity, and accountability. Editors-in-chief, Associates Editors, editorial members, reviewers and editorial staff are requested to pay attention to prevent and eliminate author misconduct. JCTH reserves the right to reject any manuscript that editors believe does not uphold high ethical standards, even if authors have obtained ethical approval or if ethical approval is not required. All methods used in a study should be adequately described, so that readers may replicate the experiments as they were performed by the authors. The practice of withholding a key step (including but not limited to a reagent, procedure, tool, or technique) or any other piece of information related to the study for proprietary or personal reasons is unacceptable. Reporting of results is expected to be complete and accurate. All statistical results of an experiment and/or study project should be presented, including data that does not meet the threshold for statistical significance. The authors must not data picking, which is the practice of presenting incomplete evidence from a series of experiments. The practice of selecting data to exclude negative findings is also prohibited and constitutes scientific misconduct. All experimental controls should be reported. In addition, the weaknesses of the study design, which may have biased the results, should be reported. Authors must ensure that all research records, including hand/typewritten documentation, films, and electronic files, are made available upon request at any time during the review process and in perpetuity after the publication of the article describing the study. Patient-related research records should meet the standard regulations of patient privacy and confidentiality. The refusal, disregard, or inability to provide research records that have been requested is considered evidence of scientific misconduct and should prompt an investigation into the need for an article’s dismissal from review or retraction from the publication; the decision to pursue additional actions to address the misconduct should be made at the discretion of the Editors-in-Chief. All images accompanying a publication should be generated in accordance with general ethical standards to ensure integrity of the data presented. Image manipulation or any other form of adjustment that modifies the data is prohibited. Ethical conduct is expected for all procedures related to animal handling, including husbandry, care, and experimentation. For animal studies, it will be clearly stated in the Methods that approval was obtained from an institutional animal care committee and that all animals received humane care in accordance with the "Guide for the Care and Use of Laboratory Animals (Eighth Edition)" prepared by the National Academy of Sciences and published by the National Institutes of Health (NIH publication 86-23 revised 1985). This study was carried out in accordance with the recommendations in the Guide for the Care and Use of Laboratory Animals of the National Institutes of Health. The protocol was approved by the Committee on the Ethics of Animal Experiments of the University of **** (Protocol Number: **-****). All surgery was performed under sodium pentobarbital anesthesia, and all efforts were made to minimize suffering. For a research study using human subjects, the type of study should be indicated from the following list: randomized controlled trial, cross-sectional study, cohort study, case series, or survey. In addition, the following should be stated: participating institutions; number of subjects; methods of subject selection, recruitment, enrollment, and randomization; and subject withdrawal and completion. Concerning interventions, the criteria for assignment, methods of administration, and duration should be described. The authors should ensure that the planning, performance, and reporting of human research are in accordance with the Helsinki Declaration as revised in 2013. All authors should seek approval to conduct research from an independent local, regional, or national review body (e.g., ethics committee, or institutional review board). If doubt exists whether the research was conducted in accordance with the Helsinki Declaration, the authors must explain the rationale for their approach and demonstrate that the local, regional, or national review body explicitly approved the doubtful aspects of the study. The authors should provide declarative statements that: (a) written informed consent was obtained from each patient prior to enrollment; and (b) the study protocol was approved by the appropriate institutional review committee (IRB), with the name of the committee and institution clearly stated; and (c) the study conformed to the ethical guidelines of the Helsinki Declaration. Information that may identify the human subject should be omitted or anonymized, unless the information is essential for scientific purposes and the patient (or parent or guardian) gives written informed consent for publication. The author’s statement that informed consent was obtained and archived is required, without exception. JCTH reserves the right to ask the author to provide signed informed consent, if necessary. This study was carried out in accordance with the recommendations of [name of guidelines], [name of committee]. The protocol was approved by the [name of committee]. All subjects gave written informed consent in accordance with the Declaration of Helsinki. For all randomized controlled trials submitted for publication, the Clinical Trials Registry identifier number and platform (such as the ClinicalTrials.gov, or other Primary Registries at here) should be provided in the Methods section. Purely observational studies (those in which the assignment of the medical intervention is not at the discretion of the investigator) do not require registration. Authors are expected to give proper credit to all individuals and organizations involved in the performance of the research described in an article published by JCTH. Individuals who do not meet the Authorship Criteria but who aided in the research, such as patients and hospital staff, should be appropriately acknowledged in the Acknowledgments section of the manuscript. Organizations that were contracted to perform work related to the research or that acted in a non-paid collaborative manner should be appropriately acknowledged in the manuscript. All funding agencies that provided support for the research or for any of the individuals involved in the research must be appropriately acknowledged in the manuscript. JCTH has a zero-tolerance policy for misconduct such as plagiarism, fabrication and falsification. Cases of misconduct will be investigated and dealt with on a case-by-case basis, with the Editors-in-Chief being responsible for the final decision in all cases. Plagiarism is defined as use of information, including textual descriptions, figures/tables and data, from a previously published document without proper citation or reference to the original source. Textual plagiarism is the verbatim copy of a textual description of information that has been published, regardless of citation or reference. This includes text published in an article written by the authors themselves (known as self-plagiarism). To avoid this type of plagiarism, authors are strongly recommended to not use the copy-and-paste method for constructing the text of their manuscript or directly quoting text from other sources. Duplicate/Redundant publication plagiarism involves the submission or publication of a study and/or its results and findings more than once. This type of plagiarism includes publishing a study and/or its results and findings in another language or with the information only slightly modified from another publication written by others or by the authors themselves (known as self-plagiarism). Duplicate/Redundant publication can result from simultaneous submission of an article; therefore, the journal requires that all authors of manuscripts submitted for consideration of publication provide written assurance that the submitted manuscript is not under consideration nor published elsewhere. Fabrication is defined as faking raw data, figures, or any supporting files. Falsification, including image manipulation, is manipulating research materials, equipment, or processing/changing/omitting data or results such that the research is not accurately represented in the research record. All instances of misconduct are considered intentional. All authors who contributed to a manuscript with misconduct are considered responsible for the offensive action. Therefore, it is the responsibility of all of the authors (contributing as well as corresponding) to ensure prior to submission that no instances of misconduct, textual or data-related, are present in their manuscript. If an author has strong suspicion or evidence of misconduct after the review process has been initiated, and before the publication process has begun or been completed, we strongly recommend that the author contact the editorial office immediately to withdraw the manuscript. If the journal discovers the misconduct during the review process, the manuscript will be immediately withdrawn from consideration for publication and any of the following actions may be pursued to resolve the offence: banning the authors from all journals published by JCTH for a determined period of time, contacting the authors’ affiliated institutes, initiating an investigation by the COPE organization. If the case of misconduct is detected after the article has been published, JCTH will pursue any and/or all of the following actions to resolve the offence: publishing an erratum, retracting the entire manuscript, publication of an editorial discussing the matter, banning the authors from all journals published by JCTH for a determined period of time, contacting the authors’ affiliated institutes, initiating an investigation by the COPE organization. JCTH is very aware of our responsibility to correct errors in previously published articles. If there is sufficient evidence to prove an error in any published article, corrections must be made as soon as possible, in accordance with the requirements of the International Committee of Medical Journal Editors (ICMJE). Errors include but are not limited to a research claim, the label of a figure or a table that does not alter conclusions, authorship, and so forth. 1. Corrections should be made immediately in the electronic version or printed page of the journal. The places that need to be corrected should be clearly indicated, with the correction date. The corrections should be included in the Table of Contents of either an electronic version or a print version of the journal. 2. The corrected version, and the version with errors, should be available for future access upon request from the authors. 3. The prior electronic version should contain a note that clearly indicates the existence of an updated version. 4. If the error is major enough to jeopardize the fundamental results or conclusions of the research, retraction instead of correction will be demanded. The title of the submission should have the following format: "Erratum: Title of original article". It is advised to use the erratum Word templates. 1. Retractions are not about punishing authors. 2. Retraction statements should be public and linked to the original, retracted article. When scientific misconduct is alleged, or any concerns are raised about the conduct or integrity of published studies, appropriate procedures will be initiated as detailed by such committees as COPE. An expression of concern may be published pending the outcomes of these procedures. If any major flaw or academic misconduct is confirmed, the publisher reserves the right to retract the paper immediately. Examples of misconduct include, but are not limited to, data falsification, fabrication, duplication, or plagiarism. An expression of concern and retraction will be posted, in an electronic or printed version of the Table of Contents, to ensure proper indexing. The title of the original article will be included in the heading. The retracted paper also will be clearly labeled and linked with the retraction letter from both directions. Readers who would like to draw the editors' attention to published work that might require retraction should contact the authors of the article and write to the journal, making sure to include copies of all correspondence with authors. If an article requires retraction, the corresponding author(s) will be required to pay a fee of USD1000 to cover the costs of retracting the publication. JCTH has adopted the guidelines of the International Committee of Medical Journal Editors for the definition of authorship applied to submissions. All those designated as authors should meet all four criteria for authorship, and all who meet the four criteria should be identified as authors. All persons listed as authors on the first submission of the manuscript to a journal should remain as authors throughout subsequent revisions; otherwise, an explanation and signed statement of agreement for the requested change from all listed authors and from the author to be removed or added should be provided to the journal. A corresponding author should be identified, who takes primary responsibility for communication with the journal during the manuscript submission, peer review, and publication process, and typically ensures that all the journal’s administrative requirements, such as providing details of authorship, ethics committee approval, clinical trial registration documentation, and gathering conflict of interest forms and statements, are properly completed, although these duties may be delegated to one or more coauthors. The corresponding author should be available throughout the submission and peer review process to respond to editorial queries in a timely way, and should be available after publication to respond to critiques of the work and cooperate with any requests from the journal for data or additional information should questions about the paper arise after publication. All persons who contributed to the study or manuscript but who do not fulfill all the criteria of authorship should be acknowledged (under “Acknowledgments” in the manuscript), subsequent to obtaining their written permission for acknowledgement. This includes persons responsible for funding, general supervision of a research group or general administrative support, writing assistance, technical editing, language editing, proofreading, advising, supplying materials, critical review, and so forth. The Digital Object Identifier (DOI) may be used to cite and link to electronic documents. The DOI consists of a unique alpha-numeric character string which is assigned to a document by the publisher upon the initial electronic publication. The assigned DOI never changes. Therefore, it is an ideal medium for citing a document, particularly articles in press, because they have not yet received their full bibliographic information. The correct format for citing a DOI is shown as follows: doi: 10.14218/JCTH.2016.00006. (This example was taken from a document in JCTH). When you use the DOI to create URL hyperlinks to documents on the web, they are guaranteed never to change. The PDF proof will be sent to the corresponding author by email, or a link will be provided in the e-mail so that authors can download the proof themselves. Please review the proof of your paper carefully, checking for any final typographical errors or minor necessary updates. We will do best to get your article published quickly and accurately. Please let us have all your corrections within 48 hours, in one communication. Please check carefully before replying, as inclusion of any subsequent corrections may not be guaranteed. Proofreading is solely the authors’ responsibility. Note that JCTH may proceed with the publication of your article if no response is received. After publication, the corresponding author will be provided with a full-text link and/or a PDF file of the published article via e-mail. The PDF file can be downloaded at the provided link. Moreover, the full-content PDF (with cover) of the current issue is also downloadable from the Table of Contents page. JCTH is published as both a printed version and electronic version. The PDF that is available online is the same as the printed hardcopy. JCTH adopts the open access publishing model. Open Access provides anyone in the world free and immediate online access to the scholarly literature to read, download, distribute, and reuse.To enable us to maintain a sustainable open access platform and thus serve as a conduit for communication among scholarly communities, authors pay an article processing charge (APC) for manuscripts that have undergone peer review and been accepted for publication. JCTH is mostly financially supported by the Second Affiliated Hospital of Chongqing Medical University, with limited revenue of APC from authors or their institutions/support funds. There are no fees for submission, and no charges for articles that are rejected. 1. An APC is charged for all article types that are accepted by JCTH, except editorial types. For descriptions of specific article types, refer to the article-type page. 2. Editorial types are published free of charge, which includes Editorials, Letters to the Editor, Commentaries, Corrections, Opinions, and Retractions. The check should be payable to: Xia & He Publishing Inc.
Xia & He Publishing Inc.
Account Holder: XIA & HE PUBLISHING INC.
Bank Name: JPMorgan Chase Bank, N. A.